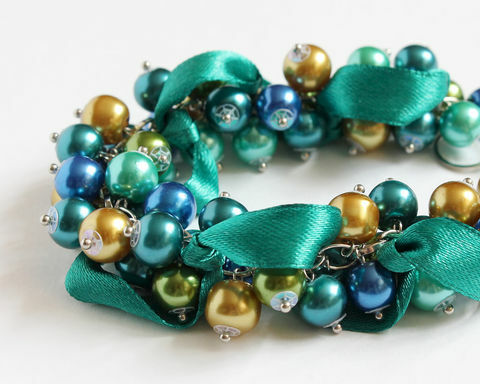 Pearly cluster bracelet in teal, turquoise, blue, and gold color, reminding you of peacock colors. Made of glass pearl beads. Suitable for bridesmaid, for prom, banquet, wedding party or any dress-up events.